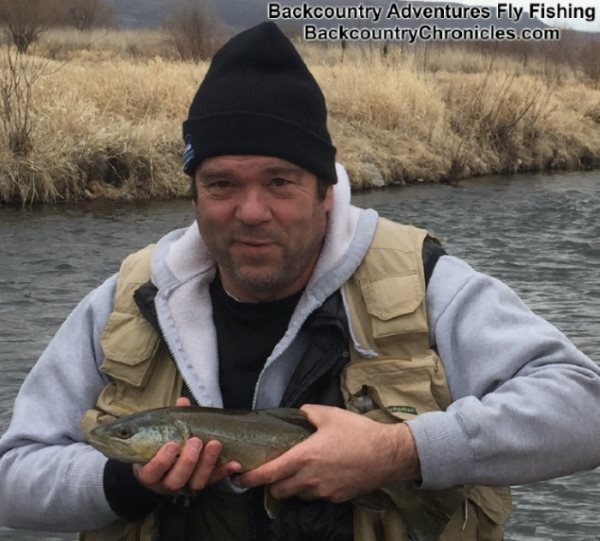 We fished the Middle Provo River three times since the last fishing report on Feb 14. We went to the upper part of the river twice and the lower part once. The trip to the lower part of the river was a guided trip for three brothers and we guided a client to the upper part of the river on one trip. Two brothers from out of state came to visit the brother that lives here in Utah. I say a better choice than meeting in California. It was lots of fun to spend a day on the water with them and to watch the brothers joke around with each other. And they caught a few fish too, with each brother catching fish according to their ability to master the necessary skills. 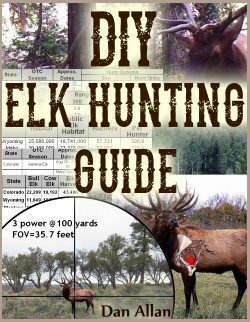 I will cover the fishing report first then go into some detail about necessary skills to learn for using the bounce rig. It was supposed to be a very blustery day (wind gusts forecast for 40+ m.p.h) and the wind blew hard all day, but it wasn’t as bad or as cold as predicted and the sun popped out a few times. We fished the lower part of the Middle Provo River, both above and below the railroad track. We thought there might be a midday midge hatch, but we only saw a few midges here and there, but never saw a real good hatch. But we already planned to fish under the water. All fish were caught by the three brothers except for a fish I hooked by mistake while demonstrating casting and mending. The unofficial tally (fish in the net) was 10 or 12 fish. Four whitefish (16 – 18 inches), 3 or 4 brown trout and 3 or 4 rainbow trout, with about half of each species hitting egg patterns and about half taking worms. Our Provo River worm patterns were red or purple (both bright and dull or washed out). Remember some folks call these San Juan worms, but we call ours Provo River worms). Earlier in the day, we also tried fishing various midge nymphs and sow bugs, but without success, so we fished with eggs and worms on each bounce rig the rest of the day. The best landed brown trout and mountain whitefish were 18 inches each, but each of the brothers hooked into monster fish we never got good looks at (hints at skill level, luck and the reality of hooking big fish using 5X and 6X tippet and tiny hooks). 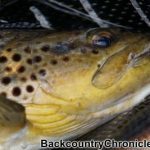 More on the Provo River Bounce Rig and the necessary skill levels after the upper Middle Provo fishing report. Jim and I fished the upper part of the Middle Provo below the dam. You know, the place where everyone goes. We got there early (10 am) to get the prime spot, and were excited that no cars were parked beside the road. 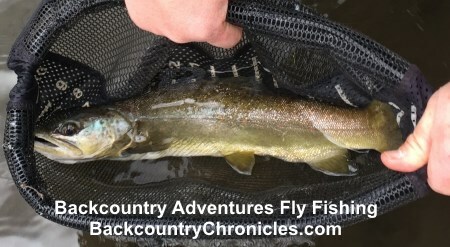 We were scouting for another guide trip the next day and we have been waiting for a buffalo midge hatch. The temperature was not too bad (16°F), but the wind was blowing 20 m.p.h. When we got to the river, we noticed lots of big buffalo midges lying in the snow from the previous days’ hatch. Some early birds had come down from the upstream parking area and were already fishing in the hole we wanted, so we crossed the river and went back downstream to another favorite spot on an inside bend. We were early for the hatch, so we rigging up to fish under the water and on top when the hatch started. Fish were soon rising everywhere. We caught a few fish with every method we tried (bouncing nymphs, dry flies (Jim’s noseeums) and tiny midge nymphs fish as dry droppers), but fishing was tough due to the cold wind. Not as much for casting and drifting, but for keeping hands warm enough handle fish, tie on flies and to re-rig. I don’t want to over-exaggerate, so I want say the hatch was “epic”, but it was a great hatch. Lot’s of fun just to watch fish rise when hands were too cold to fish. Back at the prime spot, the fellows that fished there had an amazing day. Plus the wind was blocked by the ridge there so it was actually pleasant. All of the fellows we talked to (didn’t see any gals that day) caught fish on top for about two hours with the blue-gray (BWO version) of the noseeums (size 18). And they were still catching a few fish while we talked to them. One guy said it was one of his best days ever. Yes, we would be back in the morning. The next morning, the weather was supposed to be a little warmer because of the cloud cover and the wind was supposed to die down a little. Not so. It was snowing sideways when we arrived and the wind was wicked. The good news was only one other fisherman was there when we parked. We were surprised because we figured the word would have gotten out about the previous day’s hatch. Maybe it was the weather. Either way, we were going fishing, but only after we got back into the truck to warm our hands one last time. We crossed the river and actually got the hole we wanted to fish, but silly me slipped and put my arm in the water up to my elbow. I wasn’t going home, but it took me a while to dry out enough to keep my hand warm. Fish were already rising at the head of the hole as soon as we got there (about 10:30), so Jim quickly got our man (Tim) fishing. Tim had only fished a couple of times (nymphing) with a friend, but he quickly caught fish on top with Jim’s noseeum and also on tiny black midge nymphs fished as dry-droppers. The wind was strong, but thankfully was blowing upstream. The hatch didn’t last as long as the day before (our hypothesis: no sunshine to heat the riffles), but it was exciting and Tim had never witnessed a big hatch like that before. The windchill was brutal and we took a long break to warm up. After getting feeling back in our hands, we rigged up so Tim could learn to use the Provo River Bounce Rig. We did a little coaching so he could get the hang of casting, mending and managing line. But I kid you not… He caught a 16 inch brown trout on his first real drift. The fishing cooled off and as the day wore on the temperature began to drop again. Tim hung in there until the Sun went behind the hill. We crossed the river before it got any colder for safety reasons and fished from the other side. (Now everything is reversed and beginners have to learn all over again to cast, mend and set the hook). 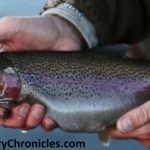 We only caught one more fish (a beautiful unblemished rainbow), but Tim wanted to spend the time working on his casting and mending techniques so he will be ready the next time he fishes. Tim’s last text to me was “fun fishing with you yesterday, but next time let’s fish when it’s a little warmer“. It’s a deal Tim. We worked with four people this week that were learning to fish the bounce rig for the first time. So for this weeks Tip I want to go into more detail that normal to sum up the key skills needed to be successful fishing the bounce rig. 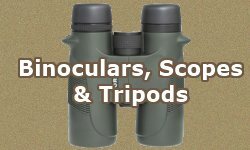 Many people seem to think nymphing is simple and dry fly fishing is tough. That obviously depends on many different factors, but I have heard Jim say many times he thinks nymphing is harder for beginners in general than fishing on top. We have a post on the bouncer rig (read here), but also look at the bounce rig diagram. The bounce rig consists of weights at the bottom (A) connected to various tags (B & C) with nmyphs and to a strike indicator (AKA bubble or bobber; D). The length of the rig from weights to indicators (A to D) should basically be twice the depth of the water. But it takes some practice and skill (actually 6 skills) to fish the bounce rig. Until you can start learning those skills, you have little or no chance of catching fish. Casting – Casting the bounce rig is nothing like casting a dry fly. The weighted line has to be flipped upstream. Almost every back cast will cause tangles. If you get away with it once in a while, consider yourself lucky. You will not get away with it for very long. 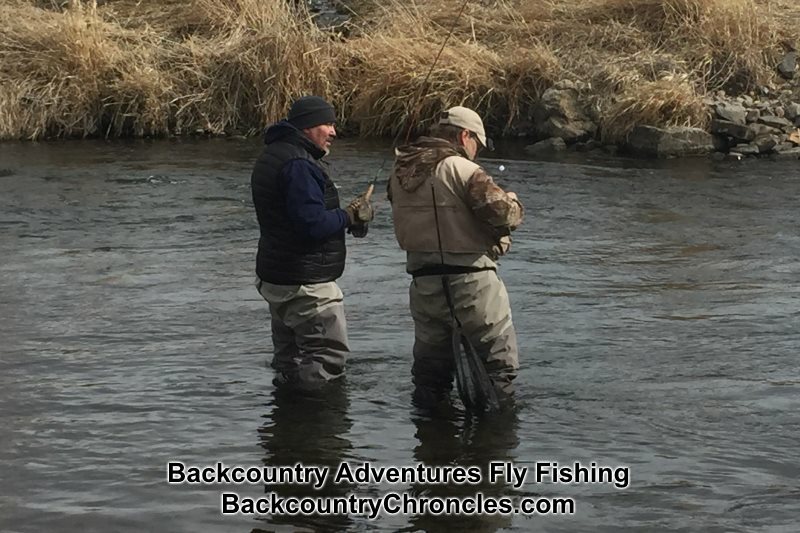 When you need to back cast (down stream or behind you), you must let the rig land in the water, then use the drag of the water (resistance) to cast back upstream. This takes practice. Everyone apologizes for not catching on quickly, but it is not an intuitive thing. Practice is the only way to learn. Then when you finally start to get the hang off it, you have to learn to cast in the opposite direction when we cross to the other side of the river. Mending – Mending is absolutely necessary to get a drag-free drift. You have to be able to recognize when the line is drifting properly and when it is not and then be able to “fix” or “mend” the problem when it is not. 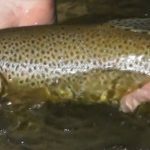 Everyone should know by now that mending is simply flipping line upstream so the line is not dragging the indicator or the nymphs in an unnatural way. I say simply, but like everything else, that also takes practice. Mend to little and the drag situation is not corrected. Mend too much and the indicator and rig may be jerked around so much that fish will not bite. Imagine how many fish would bite the nymph if the indicator was not attached to your fly line at all. We obviously have to be attached to the rig, but I hope you see my point. Line Management – Managing slack line is always an issue. I tell everyone, “we have to learn to chew gum and walk at the same time”. When you cast upstream, your line may be tight. By the time if floats past you, you may have 20 feet or more slack, then as the rig floats downstream, the slack is taken up again. And this all has to be done while mending properly and being able to take up all the slack almost instantly to set the hook. Many fish strikes are missed due to the fact too much slack is in the system. This simply has to be practiced and learned. We will work on a video to help demonstrate. Recognizing proper bounce and adjusting the bounce rig – If the bounce rig is not “bouncing” you are not fishing. The weights at the end of the rig should always be on the bottom, except when they bump, drag or bounce off low and high spots on the bottom of the river. You have to learn what a good bounce looks like. If you are not bouncing, you need more weight and or more length. If you are dragging too slowly or hanging up too often, you need less weight and/or a shorter rig. 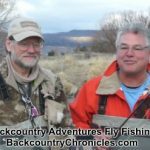 When we are guiding people, we can take care of this part, but when you want to fish by yourself, you will have to make adjustments to the bounce rig. Recognizing Strikes – Everyone asks how to tell when you have a strike vs. when the rig is just bouncing off or temporarily hanging on the bottom? We always say “if in doubt, set the hook”. But you will catch more fish when you learn to tell the difference. Again, this has to be learned and it gets easier after you see it a few thousand times. Some strikes are very subtle and some hang ups suspiciously look like strikes. If in doubt, set the hook. 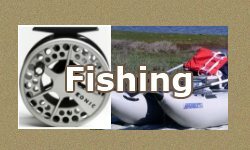 Setting the hook – Most of us that started fishing in still waters with spinning gear or even cane poles have a habit of setting the hook by raising the rod straight up. But fish in flowing streams and rivers spend the vast majority of their time facing upstream. So ask yourself if a fish is facing upstream, which way should you set the hook? The answer is down stream. Plus, what happens when you set the hook on a fish but miss or the fish gets off before the hook is really set? The rig flies back in your face or it goes behind you into the trees. It will not do that if you set the hook downstream. 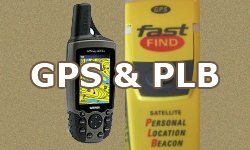 Also always consider the equipment you are using while fishing. If we were fishing with 20 lb test and need to set the hook deep on a bass or walleye, by all means put some force into it. But when we are using 2 – 6 lb test with tiny little hooks, what do you think will happen when you get excited and jerk back with 20 lbs of force on the hook? Yes, you will lose the fish and probably break the rig. This is a little more than a short hint, but well worth the effort if you want to catch fish when fish aren’t rising. Earlier I mentioned how each of the three brothers caught fish according to their ability to master the skills necessary to fish the bounce rig. 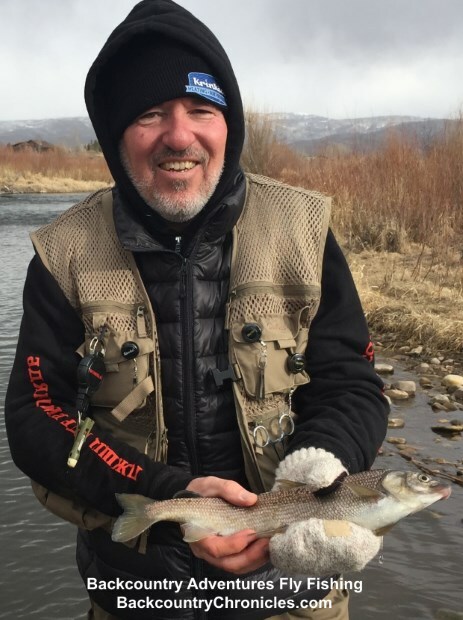 Our local brother (Mark) has some fly fishing experience and know his way around the Provo River enough that he knows where “Lunker” is and has run into Phil Bair while fishing. Mark’s goal for the trip was for his brothers to have a good day on the water (Perry had never fly fished and Steve doesn’t live in an area where he gets to fly fish often). And Mark specifically wanted to learn how we rig and fish the bounce rig. Mark has fished the bounce rig before, but had little success. Once we showed him how the rig is tied and how to adjust the length and weights on the rig, Mark had an “aha” moment. “That’s why we didn’t catch fish before… We weren’t fishing deep enough“. This was all Mark needed. He had real questions from his previous experience and he just saw the answer to those questions. While I was helping his brothers with the basics of casting and mending, Mark started catching fish as soon as he started fishing. The brother with some fly fishing experience (Steve) also caught on quickly to casting, but had a little trouble with mending, and Steve apparently had done a lot of walleye fishing in the past. He was hooking fish, but many got off or broke off. Yes, we all get excited, but we have to remember how small and light the gear is. We have to finesse these big trout and whitefish into biting, so we have to finesse them all the way into the net. It’s not a difficult thing with a 14 inch trout, but it gets harder as the fish get bigger. Steve caught several nice whitefish including the one in the photo. The brother (Perry) that had never fly fished before worked hard at it all day and was beginning to get the hang of casting and was starting to string some good drifts together by mending properly. When he did, he also started getting hits. But many hits did not turn into hook ups because he had a hard time recognizing strikes and managing loose line. All expected for a beginner. He also recognized that everything changed once we crossed over and started fishing the other side of the river. Jim or I can try to help with recognizing strikes, but by the time we can yelled “Fish!”(indicating a strike and to set the hook) and that instruction finally gets translated to the wrist to set the hook, the fish is usually long gone. Perry and Dan talking and rigging. But our new fly fishing brother still has a story to tell and they were already telling and re-living it before we got back to the truck. Perry hooked into a very big fish. When the fish struck it was no mistake. He didn’t have to question whether it was a fish or not, he set the hook instantly and there was no question there was a real fish on the other end of the line. The commotion got everyone’s attention. The fish was too big for the fight to last long without being played perfectly and even that was no guarantee, but it lasted long enough for everyone to get excited. When the fish broke off it ran down stream past Steve. When Steve saw it flash by him in the water, he got excited all over again and kept talking about how big that fish was. I never saw the fish, but in that spot, it could have easily been a 20+ inch brown, rainbow or whitefish. They all hooked and lost big fish and Mark and Steve caught some nice fish so these guys will have stories to tell about the day on the river and about the ones that got away for the rest of their lives. That is good stuff. Thanks guys for sharing your fishing day with me. Want to Fish with us? Want to learn to use the Provo River Bounce Rig? 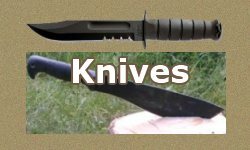 Want to tell us some lies and trade pocket knives? Click Here to Learn More. 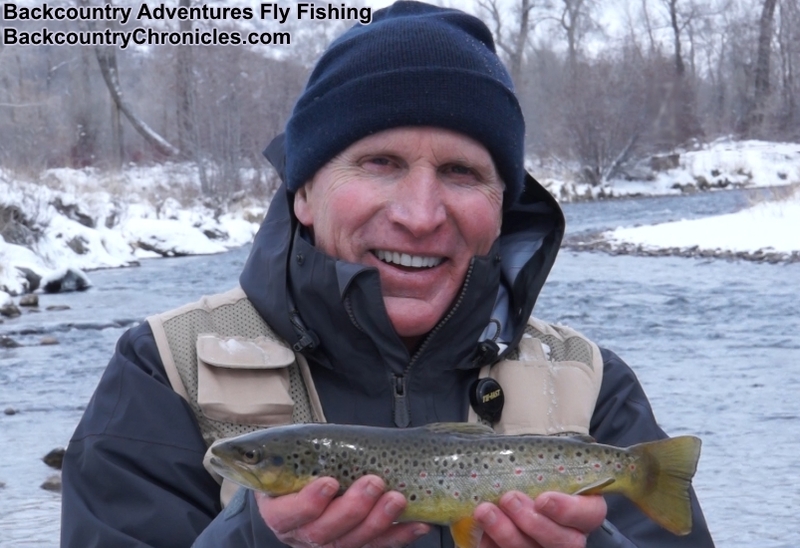 Watch our fly fishing videos here at Jim’s YouTube site. The first video shows my 17 year old (at the time) cousin fly fishing for the first time. We were using the Provo River Bounce Rig on the lower Provo River. This was his first morning as he got the hang of casting the bounce rig, managing line and setting the hook.